AXcent Lighting, Sound & Consulting in White Plains, New York, brings more than 50 years of AV design experience to each job. We do entire whole house audio pre- wirinig. We provide one-on-one consulting to each one of our valued clients. AXcent Lighting, Sound & Consulting provides AV design for various types of projects and offers consulting, design and audio video system installation, whole house audio pre-wiring for all of our services. We provide consulting as an individual service if you need advice on AV set up. 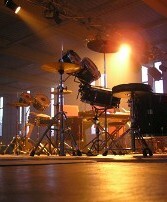 We offer sales and rentals of all of our lighting and sound system equipment. We can also lease for any large or small event, with and without professional operators. Let us make that concert a brilliant success. Contact us in White Plains, New York, for AV design. Whole House Audio Pre- Wiring and consulting from our expert team.